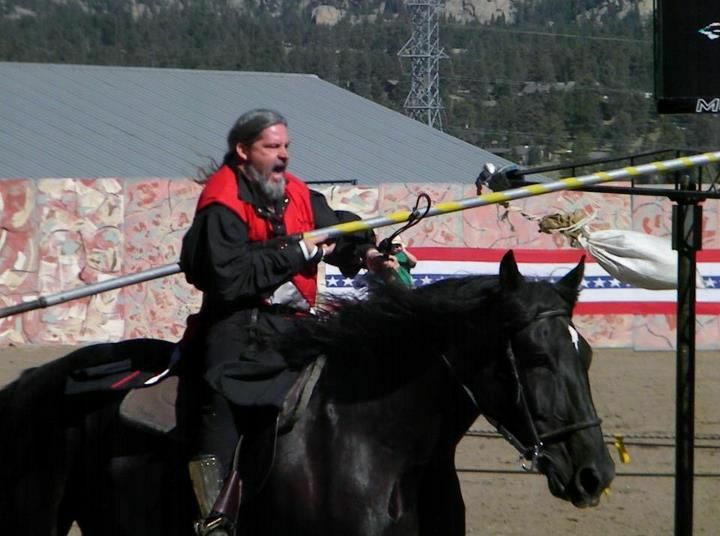 For many years, as part of the “Longs Peak Scottish/Irish Highland Festival”, there has been a very popular jousting tournament, commonly referred to as “Estes Park”(since the event takes place in Estes Park, Colorado). 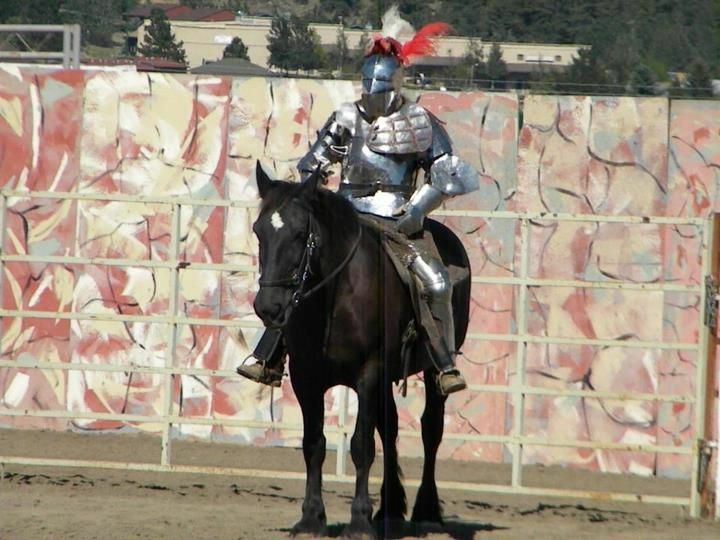 This year the tournament was held on September 6 - 9 and included jousters from Shane Adam's troupe The Knights of Valour and the Knight's Edge Jousting Academy. 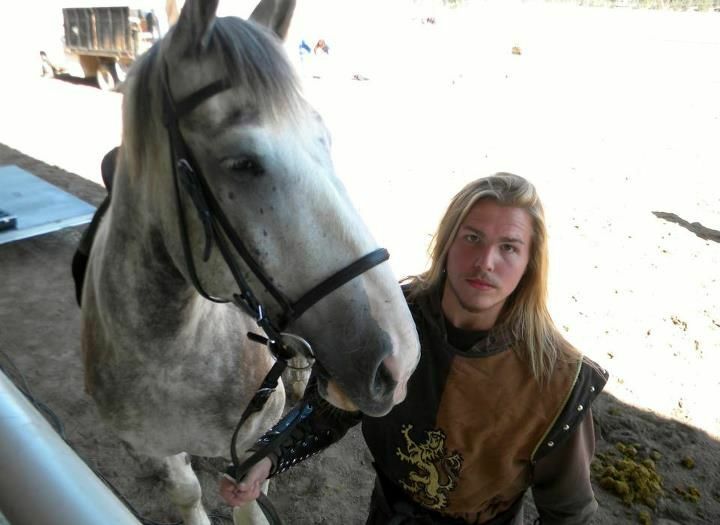 Shane Adams, from the tv show “Full Metal Jousting”, won the overall tournament championship. 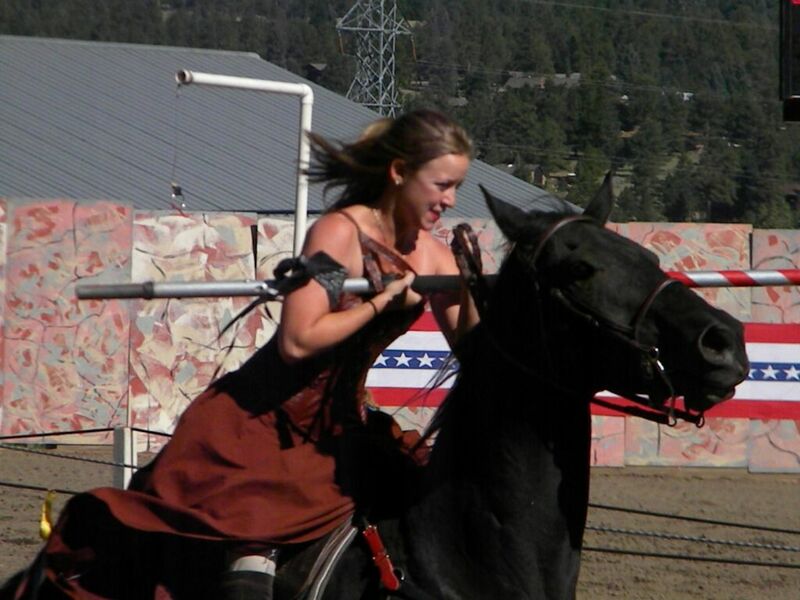 Of course, he could not have won without the support of his trusty steed, Paladin, a 16 year old, 17 hand, black Percheron gelding. 4th place – Ken Barton on the 13 year old, 17 hand gelding Phantom. 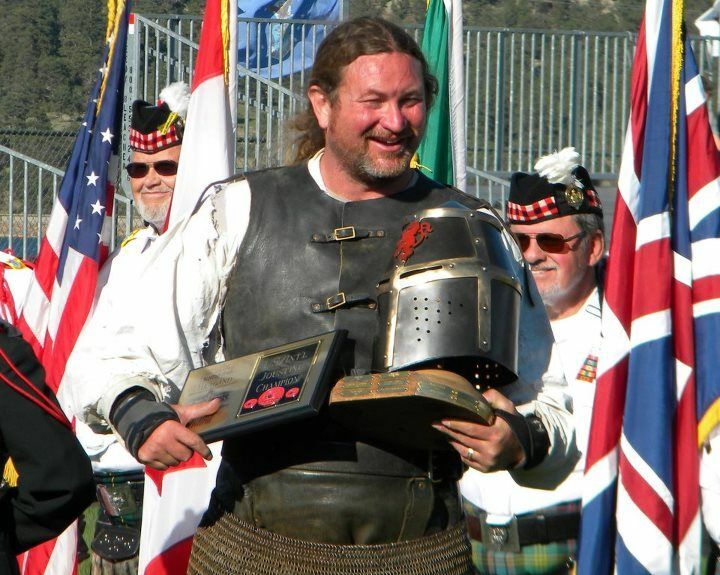 The tournament consisted of a Mounted Skill at Arms(MSA) Individual Events competition, a “Light Armor” competition and a “Heavy Armor” competition. Fifteen competitors participated in MSA – IE, 11 in "Light Armor" and 6 in "Heavy Armor". Awards were given daily for each competition, as well as counting towards the overall tournament title. 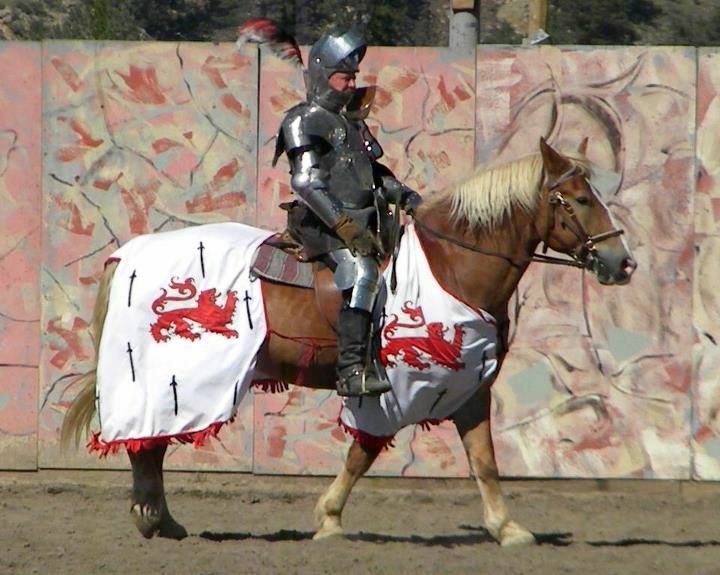 The “Light Armor” jousting competition involved using plain Straight Solid lances to hit the opponent's large hand held shield on its upper right hand corner. To make scoring more accurate, there was a target affixed to the upper right quadrant of each shield. Points were earned by hitting the red center of the target with fewer points earned for hitting the outer yellow area of the target. Before each pass, the squires would rub the end of each lance with black "chalk" which would rub off on the target if there was a hit. 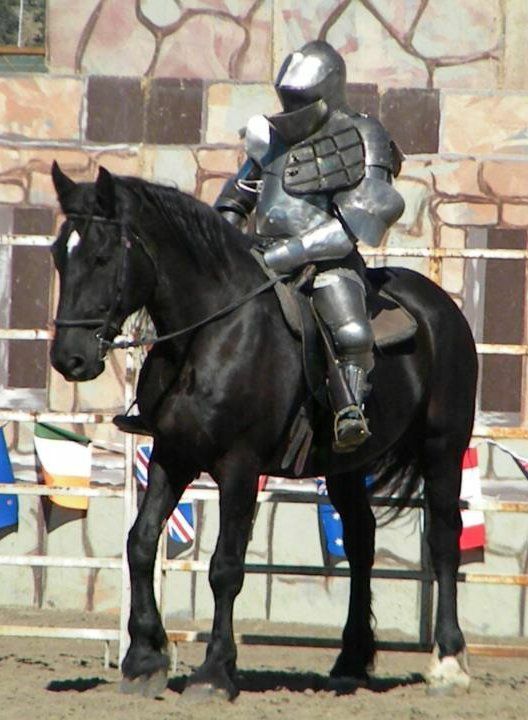 The “Heavy Armor” jousting competition involved using Straight Solid lances with Vamplates and Grappers attached to strike the opponent's Gridded Grand Guard which was bolted to their left shoulder. Points were earned for hitting the grand guard with the lance, breaking the lance against the grand guard and for unhorsing your opponent. 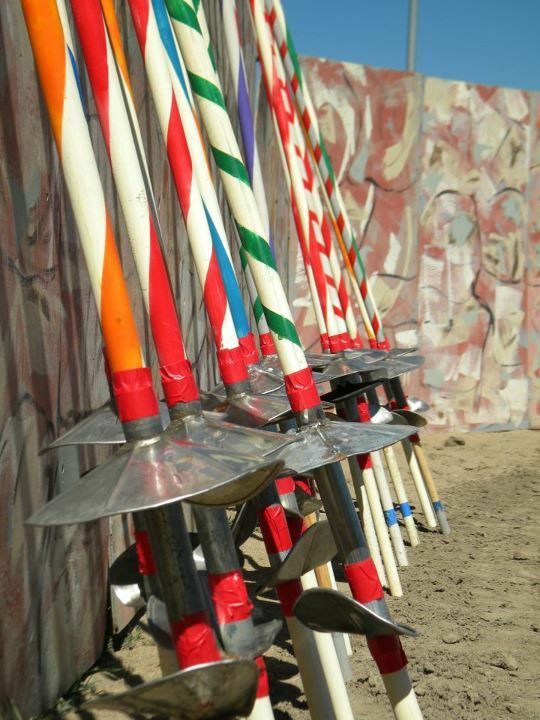 Due to an error on Friday, the vamplates were screwed onto the lances instead of being taped on, which resulted in three jousters – Ken Barton, Rob Combe, and Zach Lovering – breaking their hands that day. 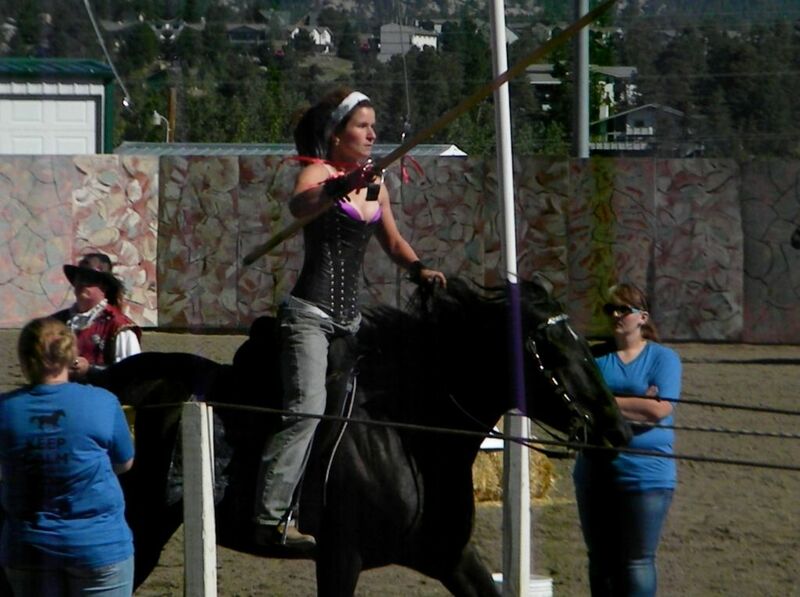 The female competitors from Knight's Edge Jousting Academy did well this year. Lauren Sturges, a recent graduate of Colorado State University, won the MSA Individual Event in rings on Friday by spearing all four rings. 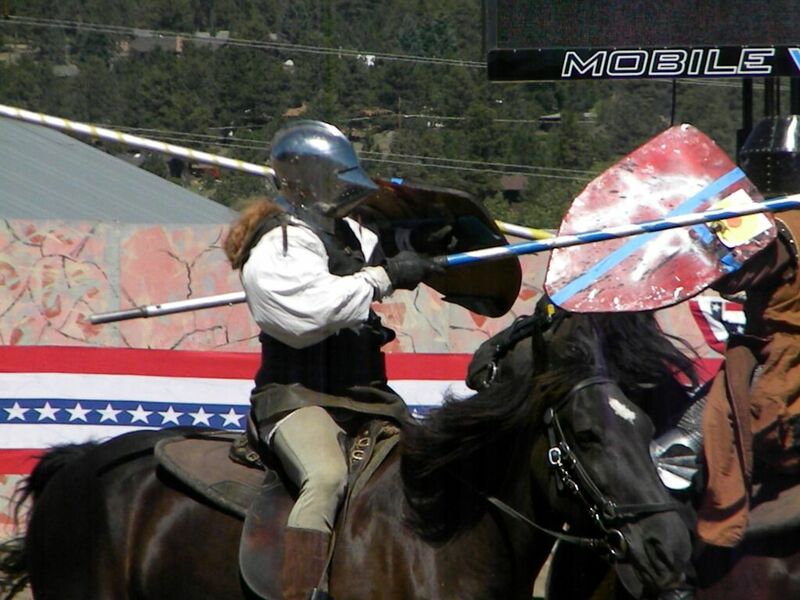 And on Saturday, Kryssi Jeaux Miller made “Estes Park” history by being the first female jouster to win one of the jousting competitions. She took first place in the "Light Armor" competition, beating out Shane Adams who came first in "Light Armor" on both Friday and Sunday, and who earned first place in "Heavy Armor" all three days. Many thanks to Suzanne DeMink for the information and pictures used in this article.